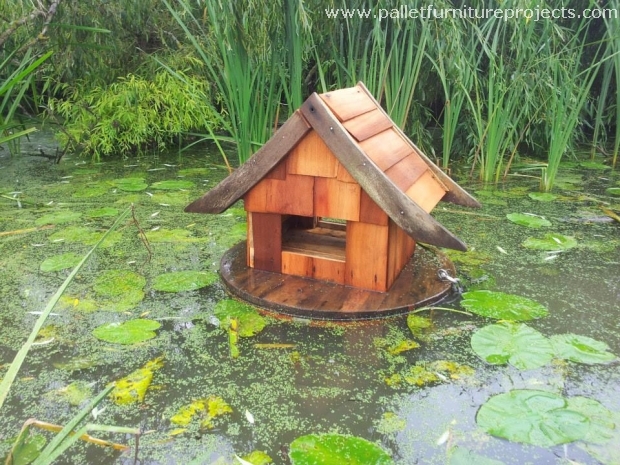 Pallet wood that is easily available everywhere is something that can be used in various recycling projects which provide us with some of the finest pallet wood creations that might be used in our practical lives. Basically these wooden pallets are used for shipping the products from one place to another. These wooden objects ensure the safety and security of certain item that is being carried in the pallets. 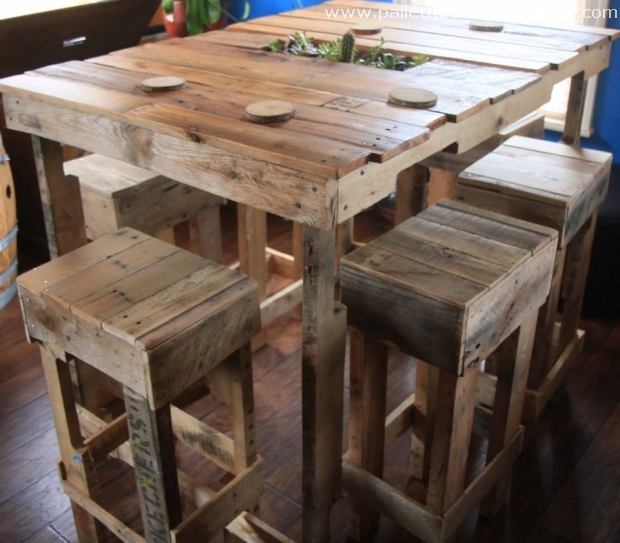 We have always focused on re using the shipping pallets and we have always made some great pallet wood repurposed furniture items. Let’s have some more of them right here. 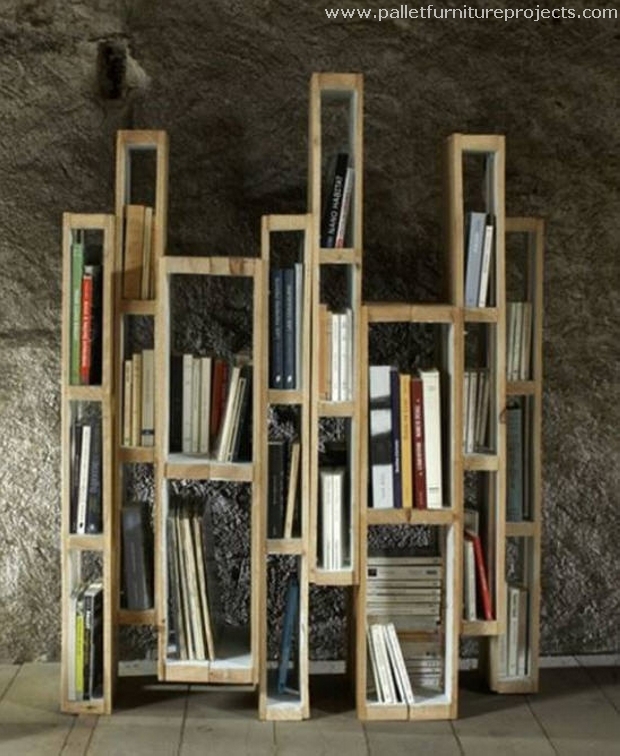 This wooden pallet recycled book shelf is a whole heaven for the book lovers. Many of you guys are literally obsessed with the books, and keeping them safe and organized was always a challenge for you right? 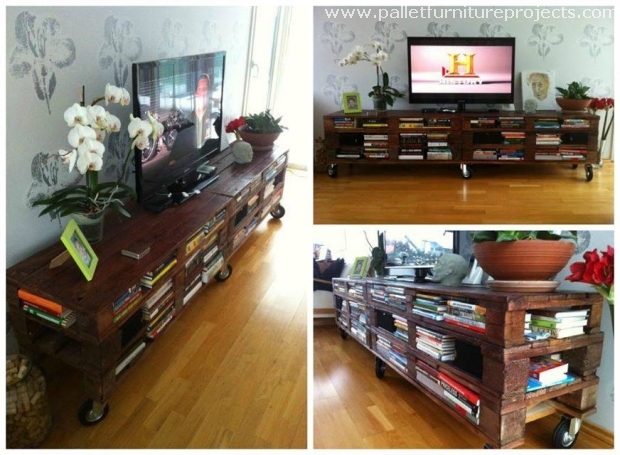 This challenge has been met and you are provided with an ideal wooden pallet book shelf. In many of our recycling projects we have used the wooden crates along with the shipping pallets in recycling multiple wooden items. 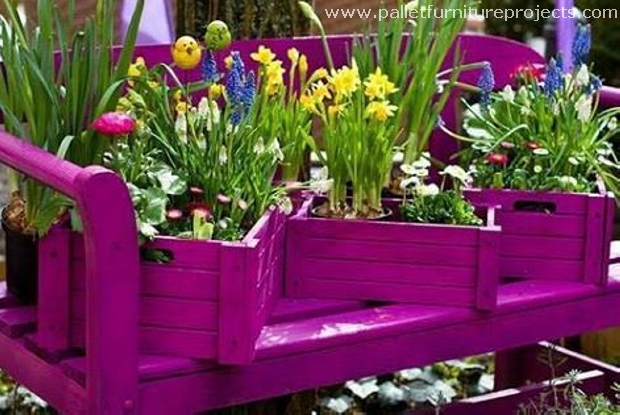 Wooden crates always make a great combination along with the straight wooden pallet planks just like this wooden planter made for the garden. 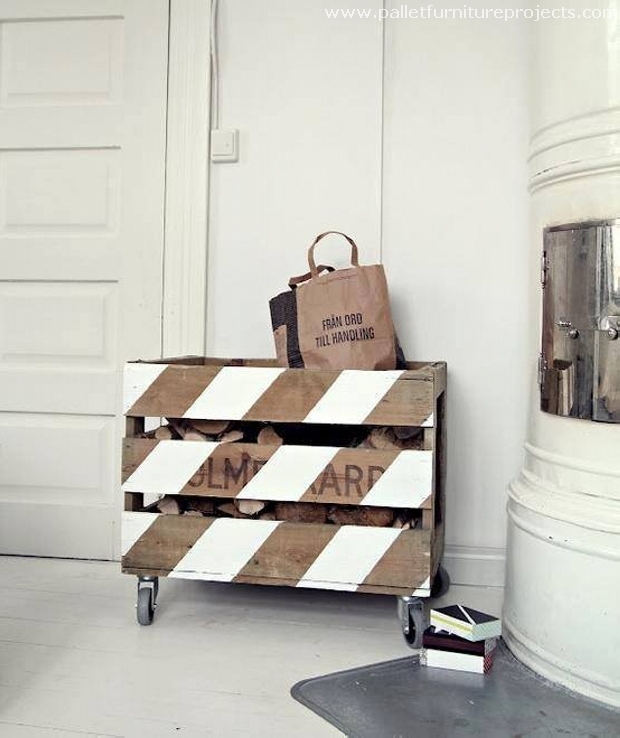 How would you use this wooden pallet mobile storage box? Well, if this comes to me I would put inside the debarked wooden pieces or some other gardening accessories. We made it mobile by fixing the heavy metallic wheels on the base, so this can very easily be dragged anywhere. 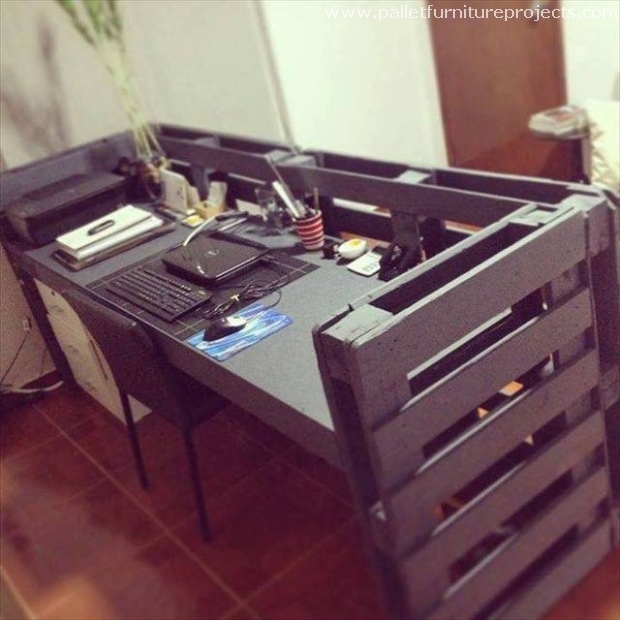 From some rough and raw wooden creations to this decent pallet wood desk, all is the creation of the same shipping pallets. One thing is pretty clear that we made very cautious selection of pallet wood while working on this wooden desk. The freshness of the pallets is clearly reflected from the final product. 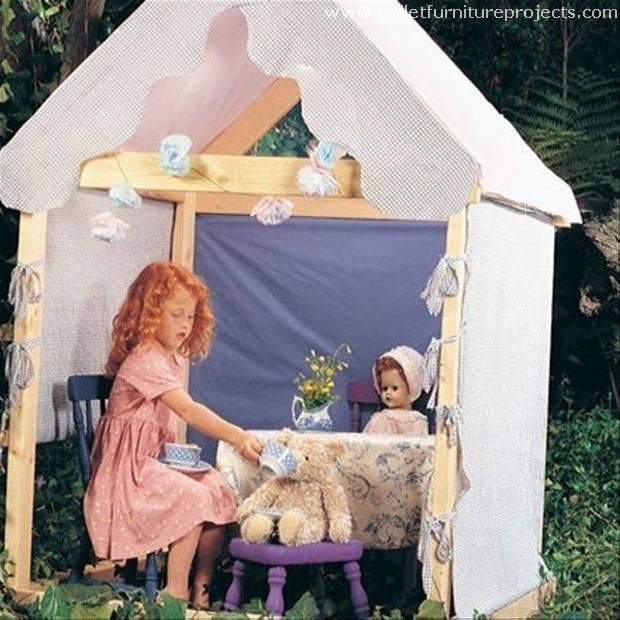 And making this kids doll house was even easier as we wanted just some straight wooden planks in order to keep it erected. While the rest of the work is done with the fine netting fabric. Kids would literally love this house in their play hours. 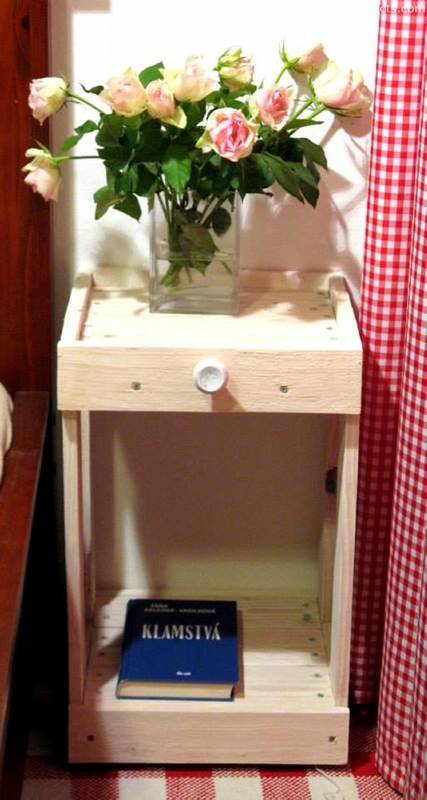 And this side table would be there always right beside your bed or the couch where ever you wish it must be placed. We didn’t stain it to maintain its rustic look that is probably the best feature of the side table. Plus this is also provided with ample storage space. 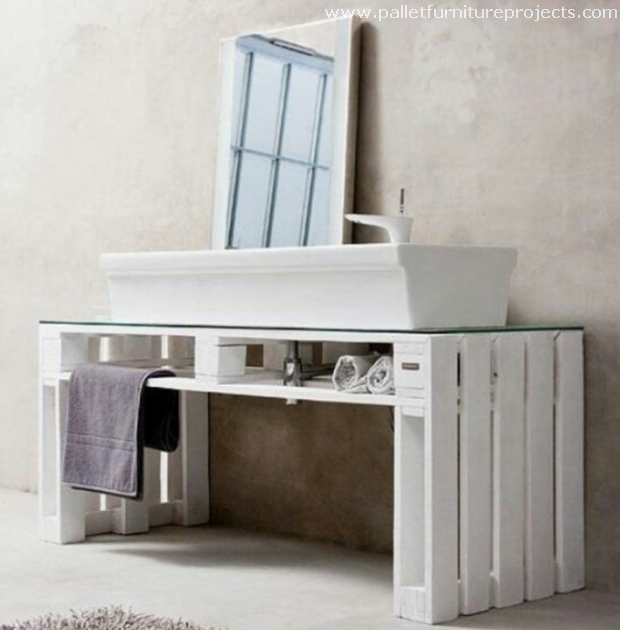 Ok, want to have something big inside your room for the clothes and other common accessories? 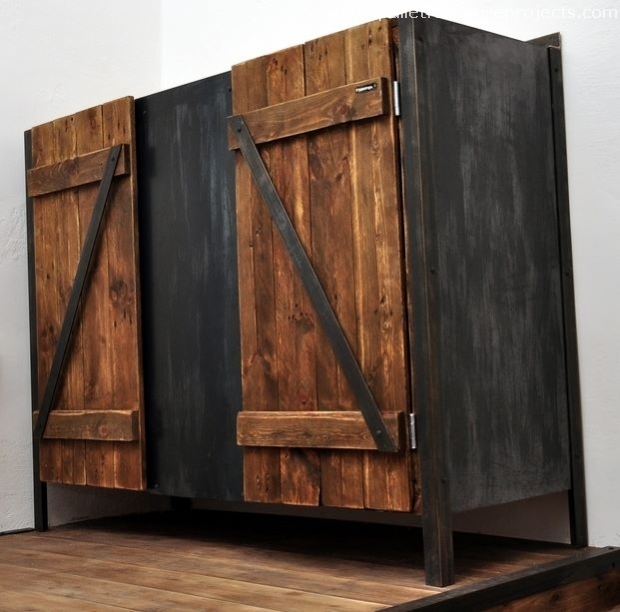 This would be a perfect closet, the whole structure is made with the pallet wood while the front doors are reclaimed wooden doors that were installed somewhere else earlier. This has got so damn big space for all of your clothes shoes and other stuff. Lastly this casual sitting arrangement could be done in your patio wooden house where you want to spend some time with the friends and family in isolation. Don’t worry about the condition of pallets that you have selected for this.